Ever since I cut my hair, I've tried different hairstyles to make the best out of my new length, but to be honest, I always go back to natural effortless waves. 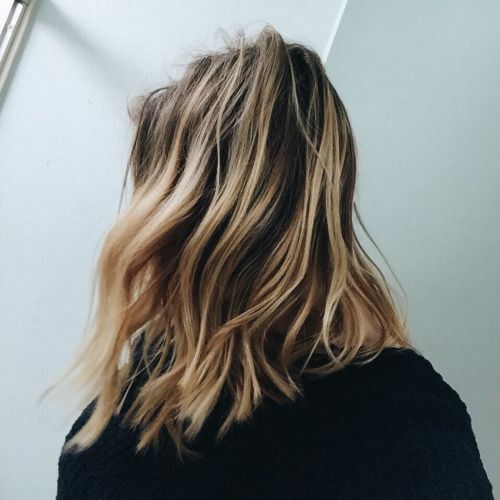 That laid-back vibe loose waves provoke perfectly match my classic not-trying-too-hard style, and keeping them down au naturel keeps my hair healthier for a longer time. Specifically for me, the perfect waves comes with the product. I love using coconut milk and an olive oil-infused créme to give extra shine and strength, and letting it air-dry after applying one or both products results in the beach-inspired look I love. 1. Wash and condition your hair thoroughly with cold water (hot water causes breakage and strips the hair of its natural oils). 2. Dry soaking wet hair with a towel without rubbing. Apply serum or créme to add texture and body. 3. Divide your hair in 4 equal sections and wrap small portions of each section around plastic curlers. 4. Once the entire hair is wrapped around the curlers, spray mists of hairspray all around. 5. When the hair is completely dry, release the curlers and, using your fingers, brush your hair until waves look natural. You can also easily get waves with a curling wand or iron, but curlers have a more lasting effect and won't damage hair. Definitely a must when nature won't work its magic.